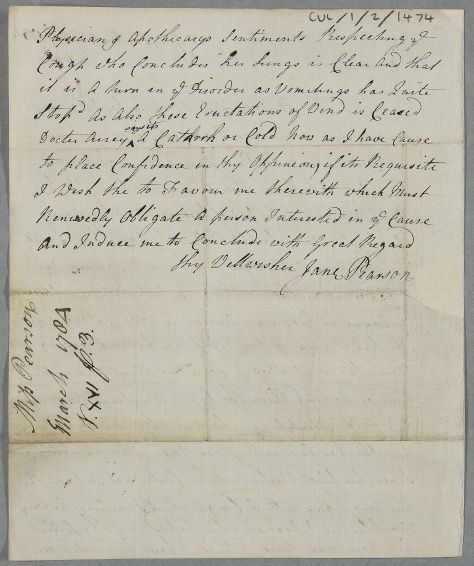 Letter from Jane Pearson, concerning the case of her daughter, Hannah Pearson. Hannah's symptoms are intermittent vomiting, loss of appetite, a cough, and menstrual irregularity. 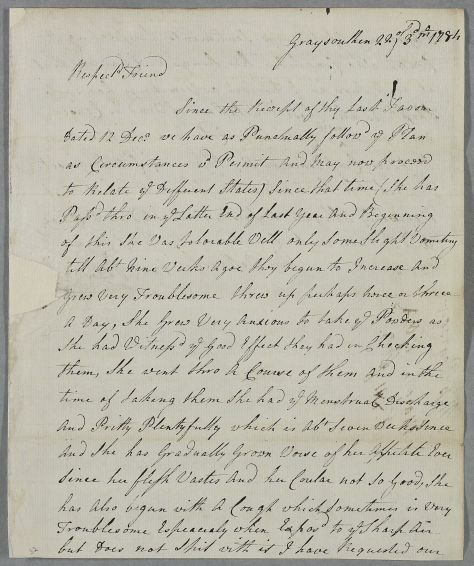 Summary Letter from Jane Pearson, concerning the case of her daughter, Hannah Pearson. Hannah's symptoms are intermittent vomiting, loss of appetite, a cough, and menstrual irregularity. Case of Miss Hannah Pearson, a young woman with a menstrual irregularity, who conditon is diagnosed as nervous and hysteric.